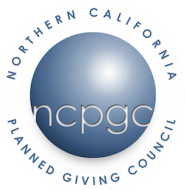 The Northern California Planned Giving Council was established with the help of Philip W. Hoffmire, an individual whose professional accomplishments made a significant and lasting impact on our planned giving community. Mr. Hoffmire served as a longtime chair of the Ethics Committee for the NCPGC where his life and character earned the respect and admiration of his peers and professional colleagues. He provided a vision with his wisdom, experience, humility and compassion. Philip Hoffmire excelled in both his service and performance to his community, always approaching planned giving with enormous amounts of energy and focus. Mr. Hoffmire provided structure in the early days of the council enabling it to develop an annual conference. After retiring as Senior Partner to an SF law firm, he continued to volunteer within his community serving as director of planned giving for the California Pacific Medical Center Foundation. In an effort to honor those who aspire to give back to their community as Mr. Hoffmire had, it is only fitting for the Northern California Planned Giving Council to present an award in his name, The Phil Hoffmire Service Award. The Award honors an individual whose professional accomplishments have made a significant and lasting impact on the field of planned giving in Northern California, and whose life and character have earned the respect and admiration of their professional colleagues. Nominees must have served the profession over an extended period of time. The awardee will be honored for both service to the profession and performance. Recipients may or may not be NCPGC members currently, but must have been members during former years. Recipients of the award are honored at the NCPGC Annual Conference and presented with an appropriate token award.